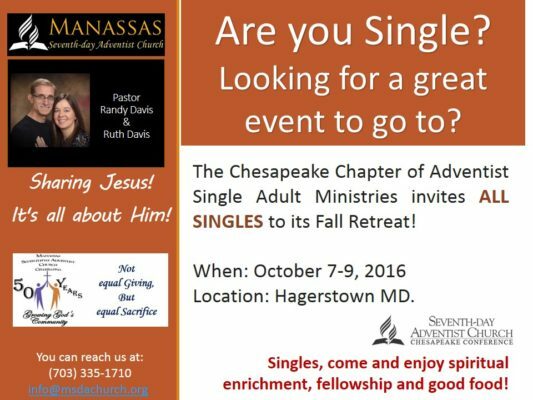 The Chesapeake Chapter of Adventist Single Adult Ministries invites ALL SINGLES to its Fall Retreat! Lorraine Edwards, a single person who will speak about life as a single Adventist. Lorraine holds an MSW Degree and is the Area Social Services Manager for the Salvation Army in Richmond VA.